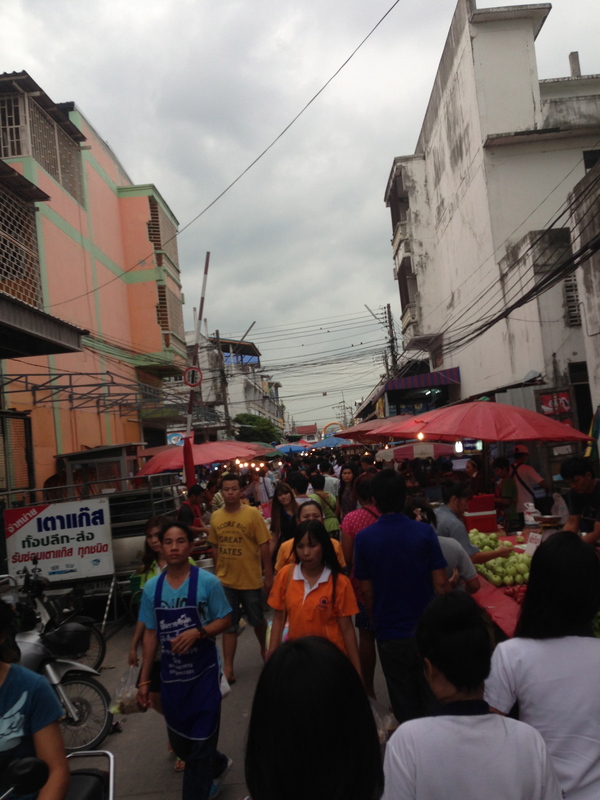 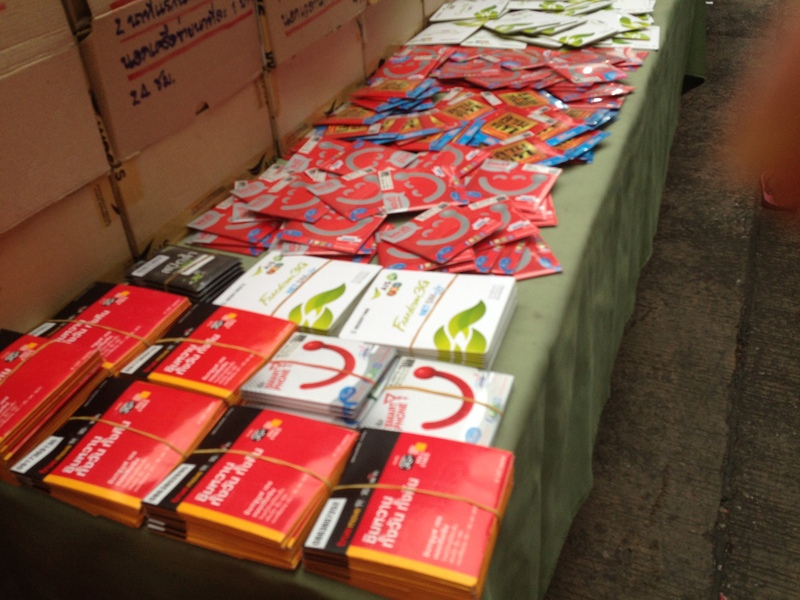 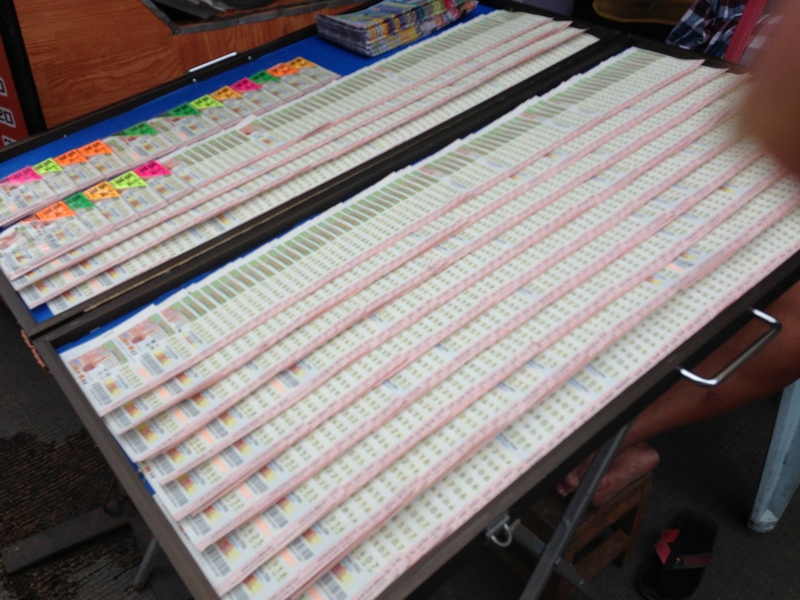 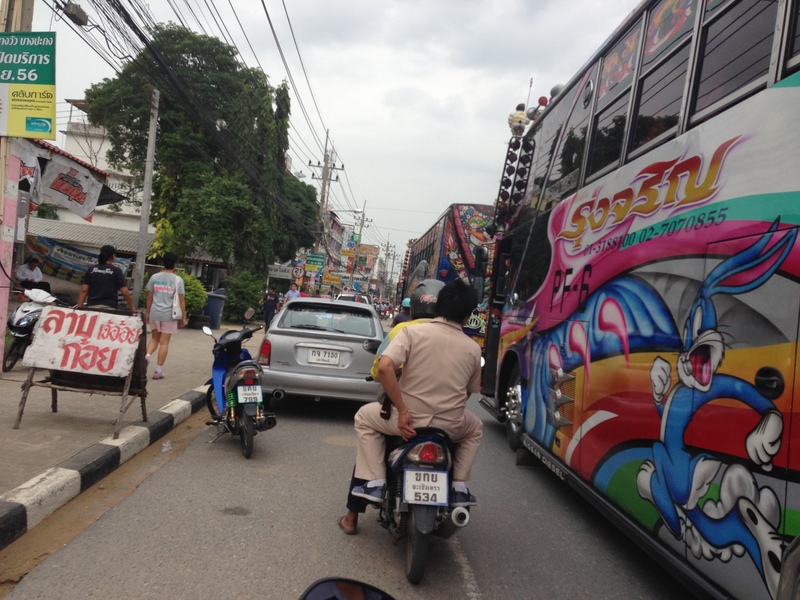 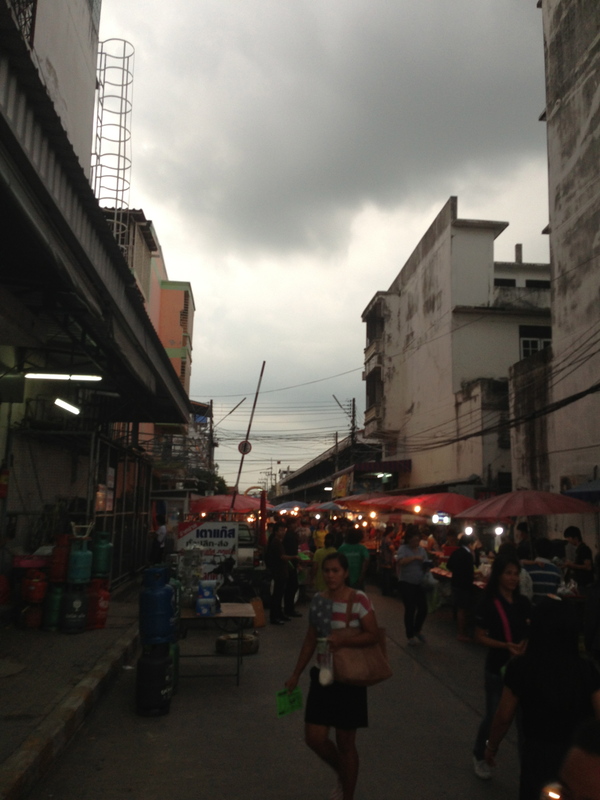 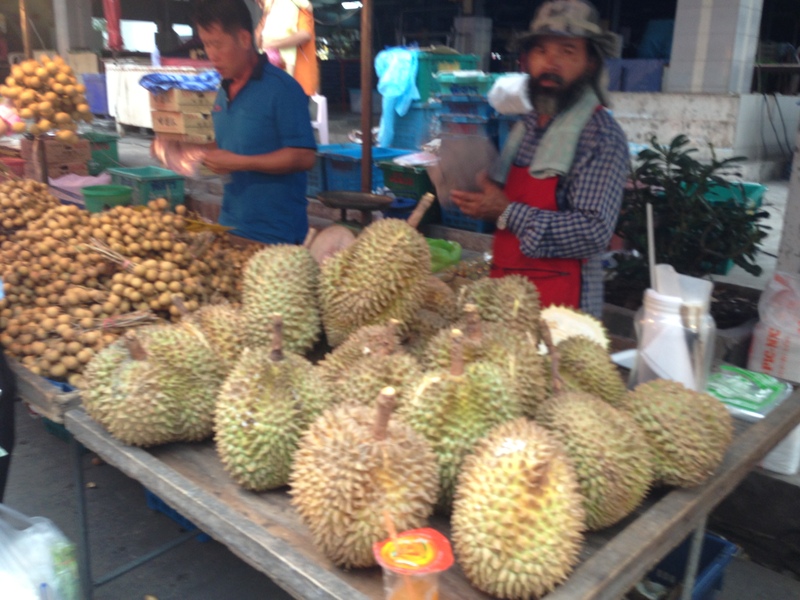 We live in outskirts of Bangkok and we do not have a lot of supermarkets in this area. 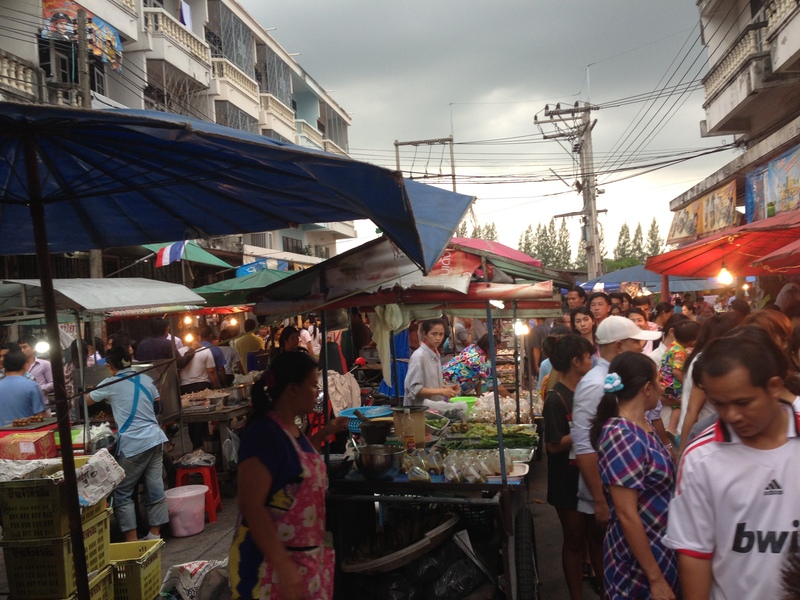 So, every Wednesdays and Sundays there is a huge market where locals sell stuff like meat, vegetables, food, clothes and what not. 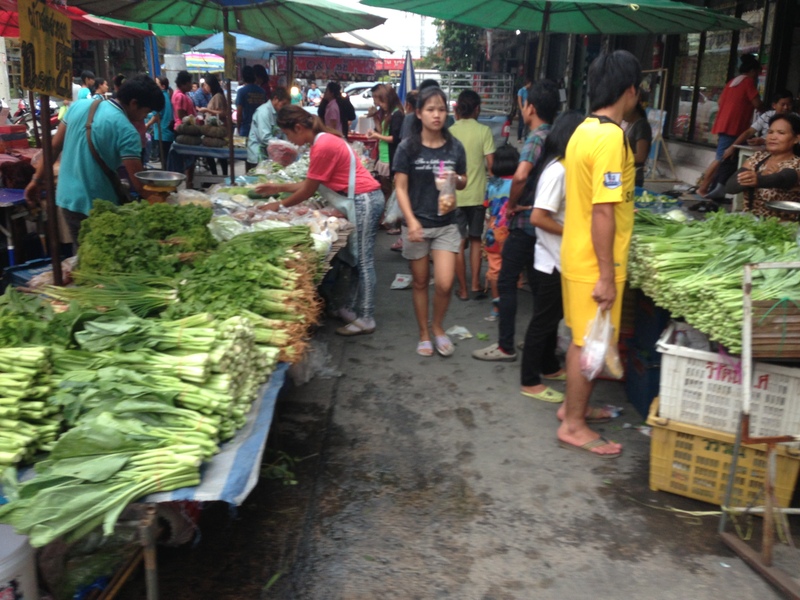 We buy our vegetables and fish from this market since it is more fresh than the supermarket and its cheaper too. 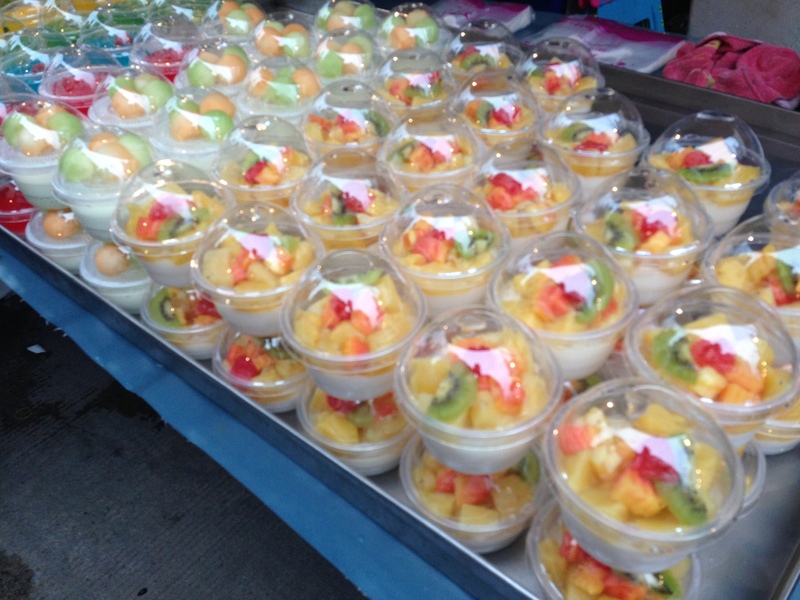 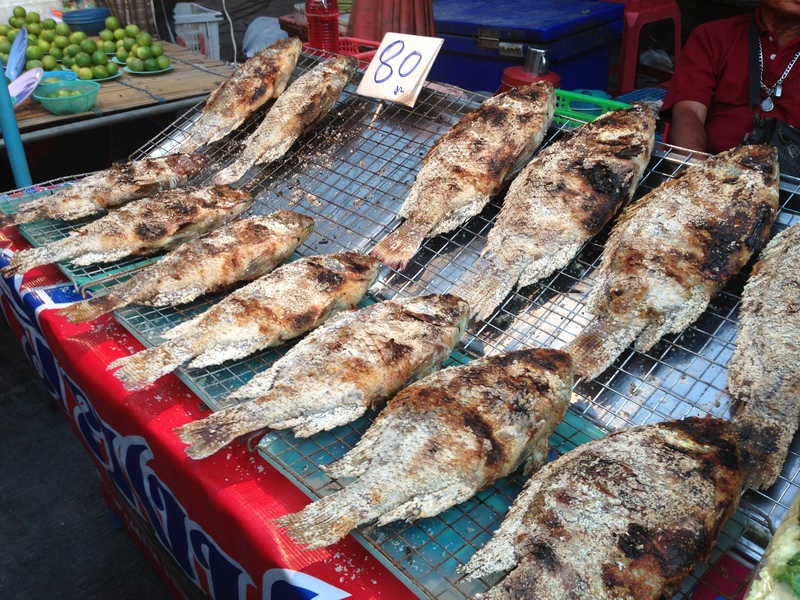 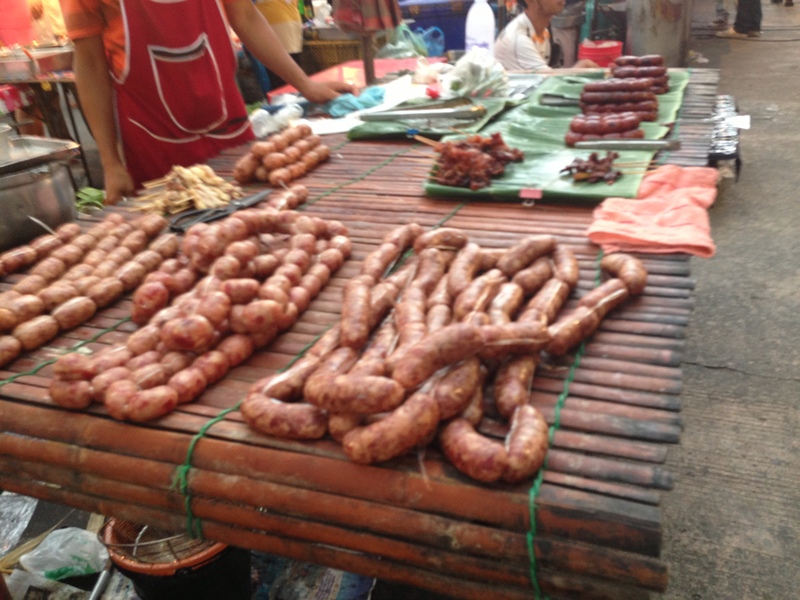 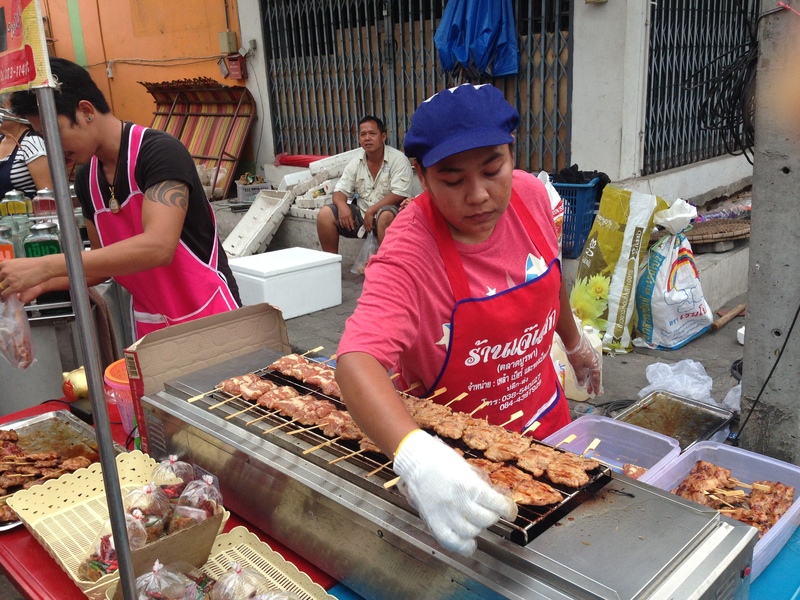 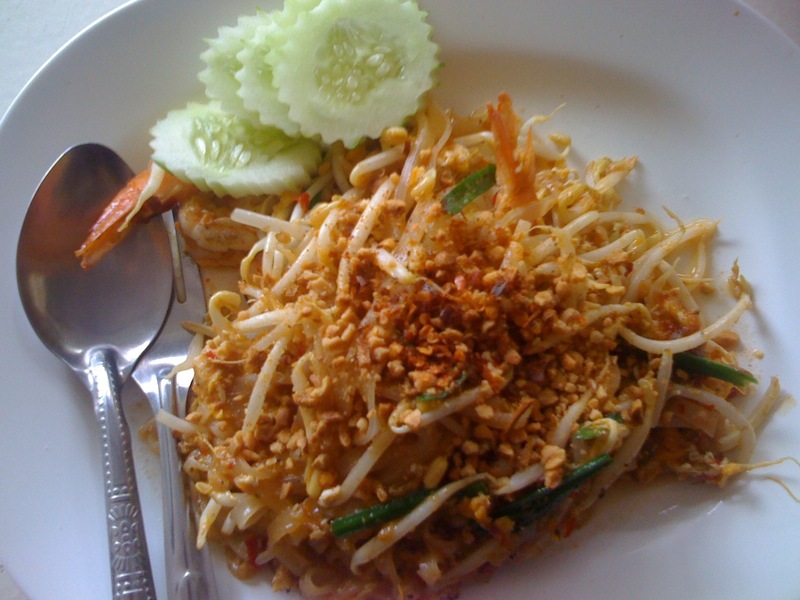 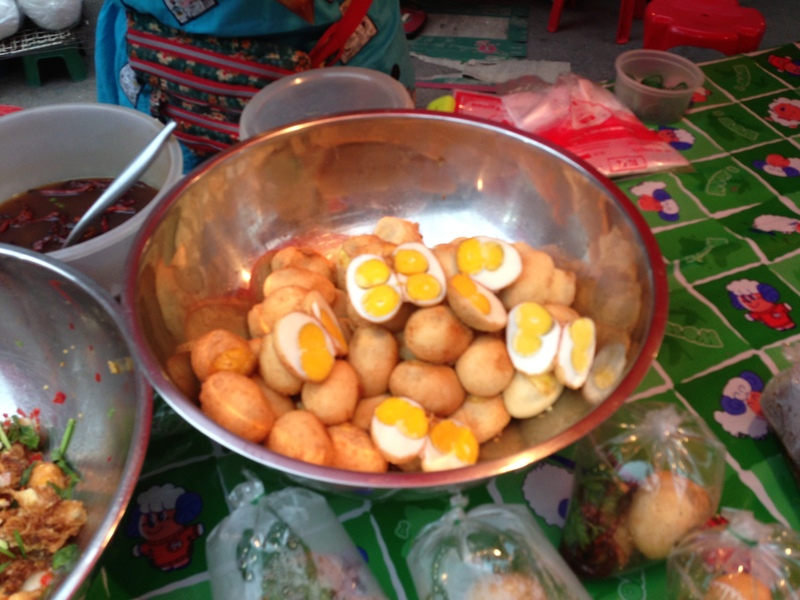 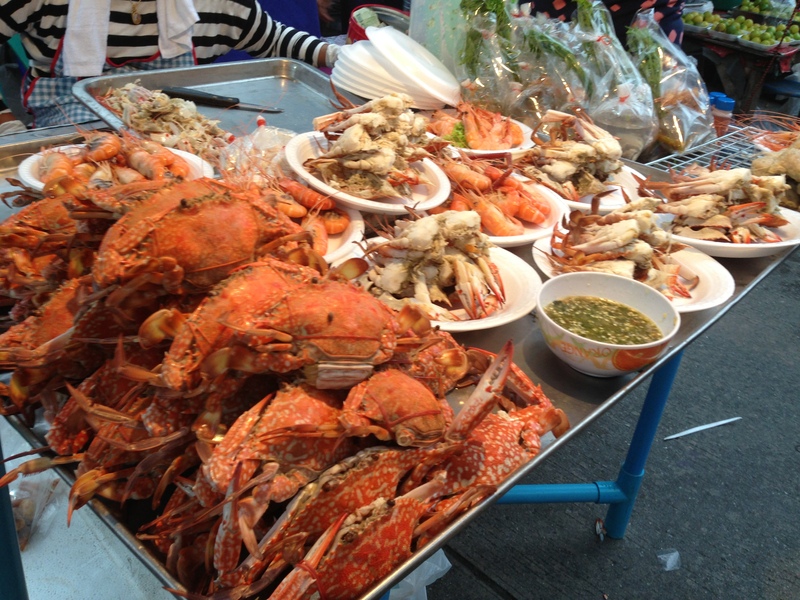 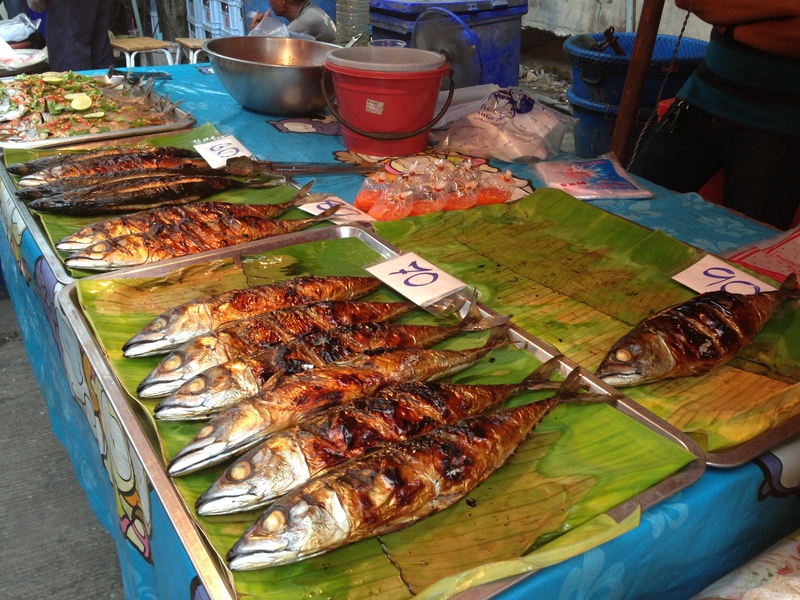 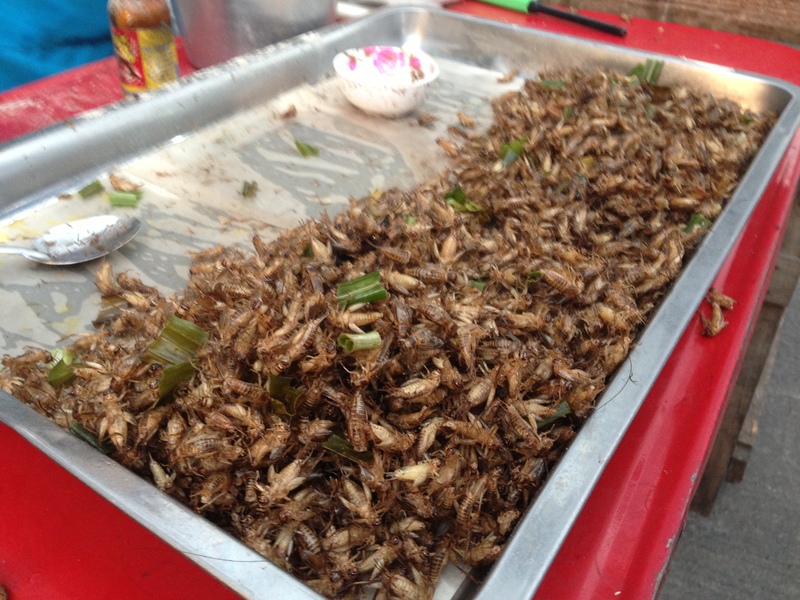 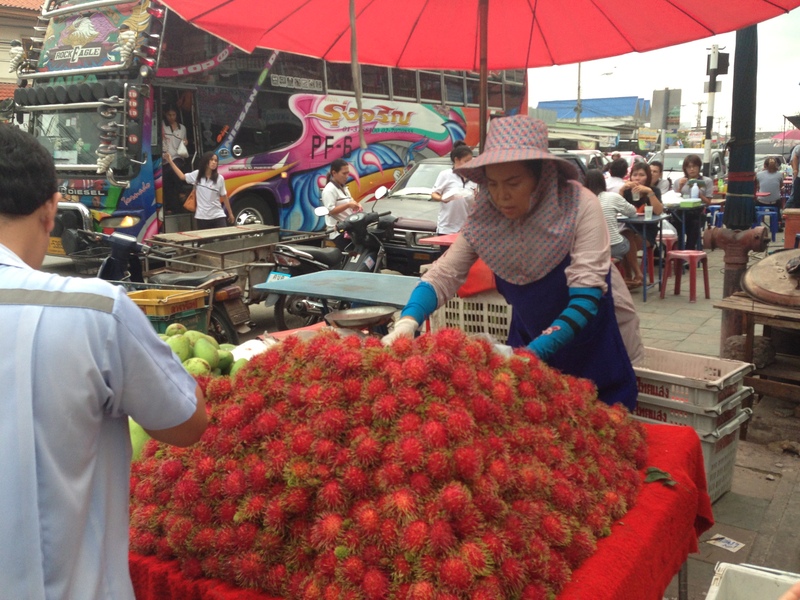 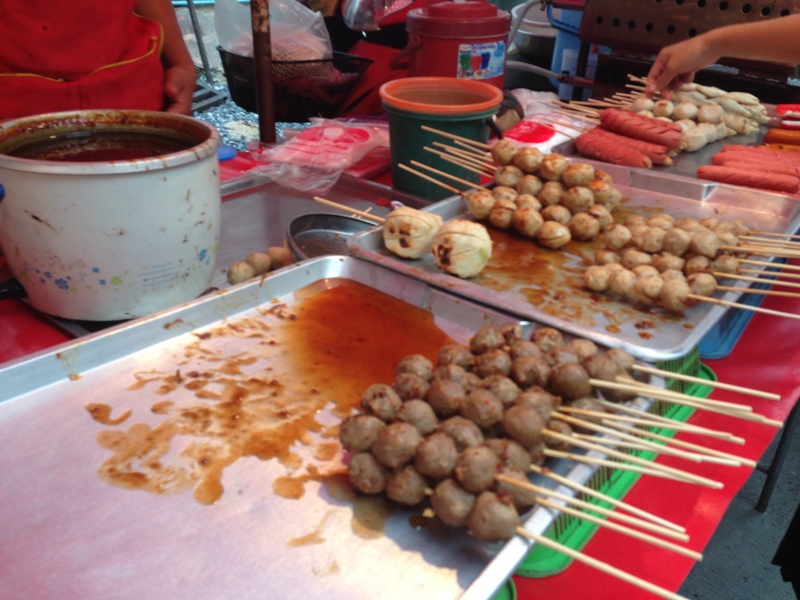 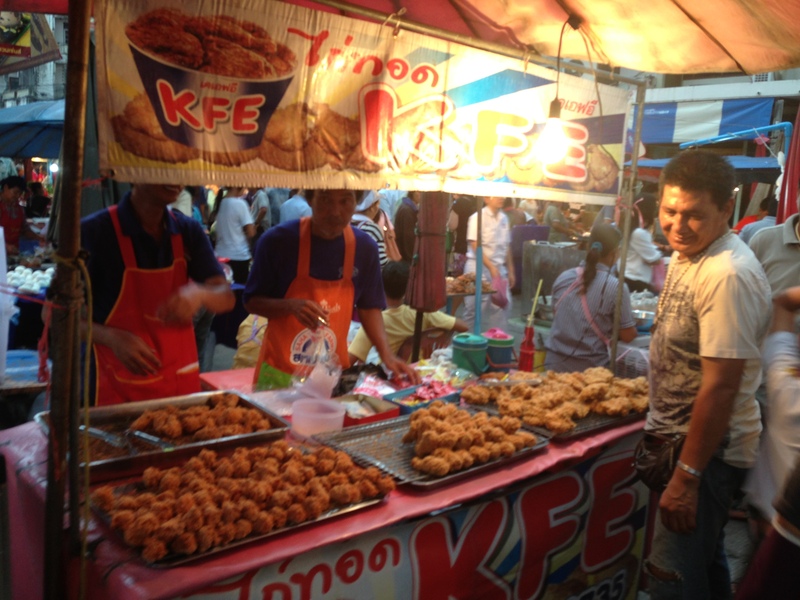 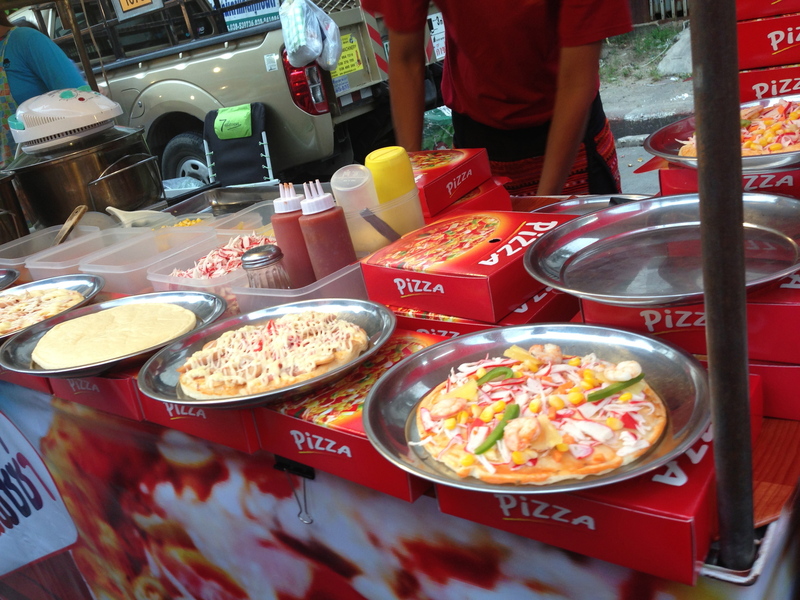 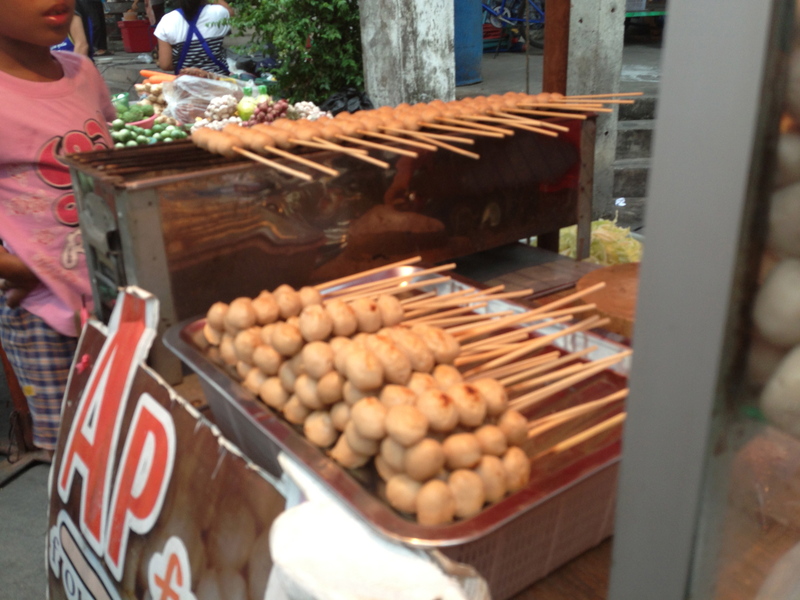 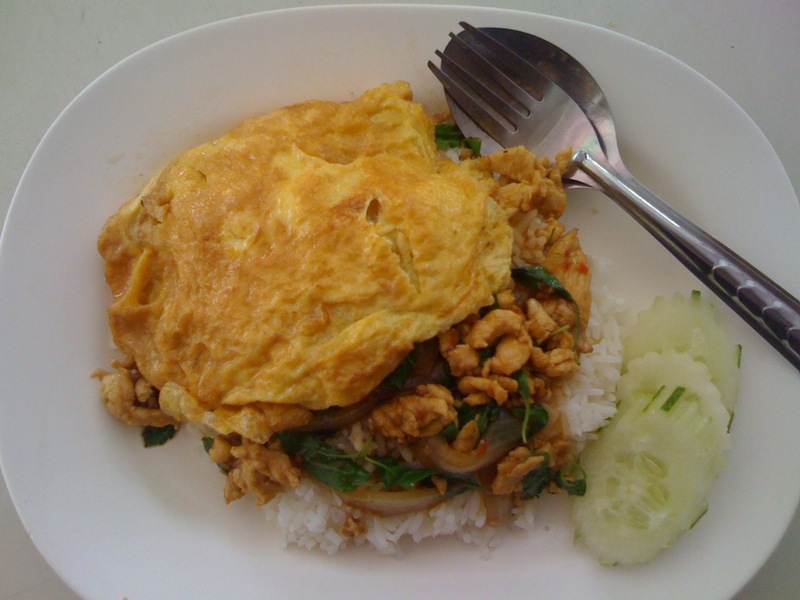 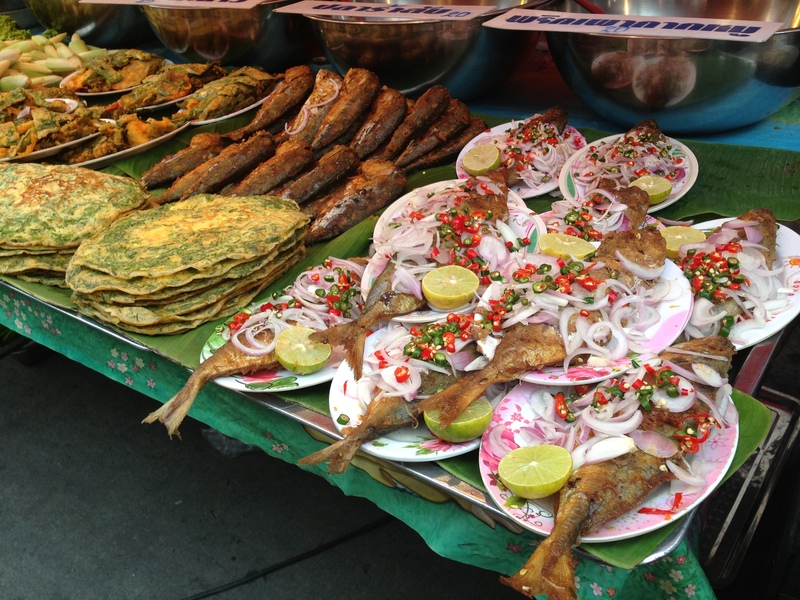 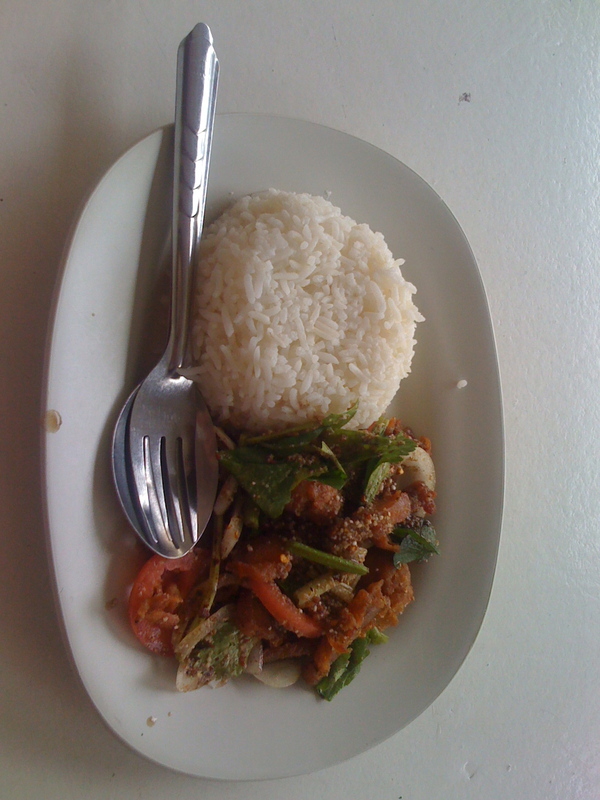 Thailand is famous for its street food. 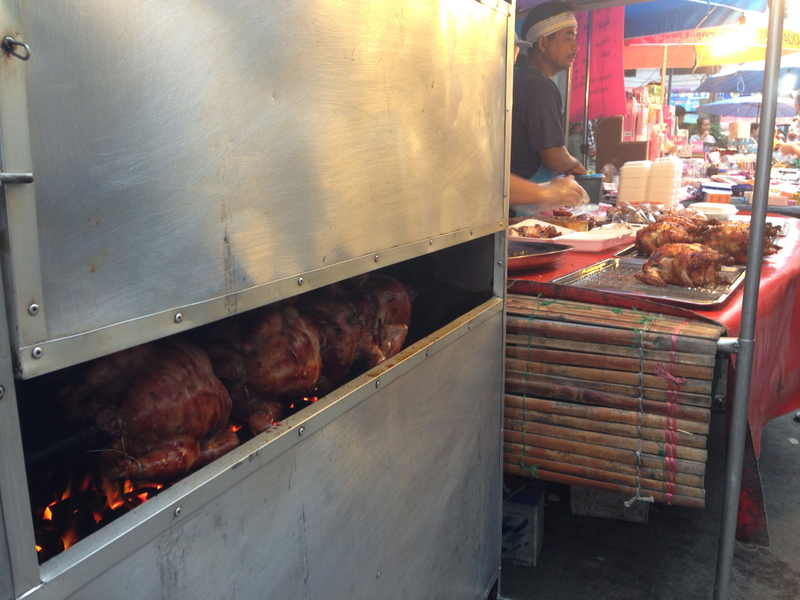 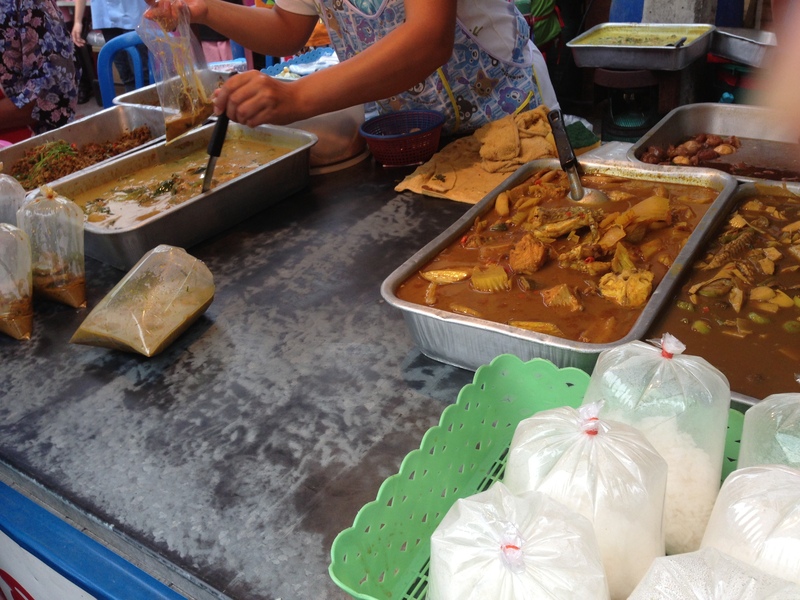 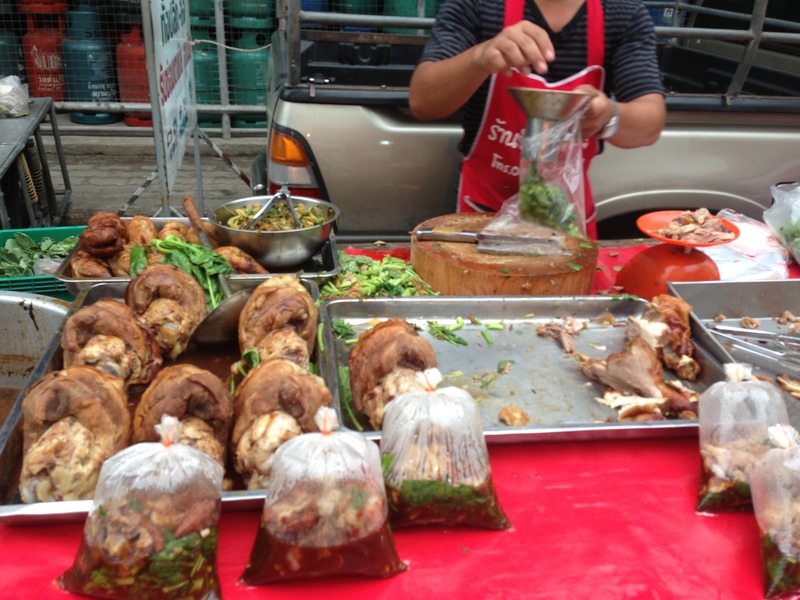 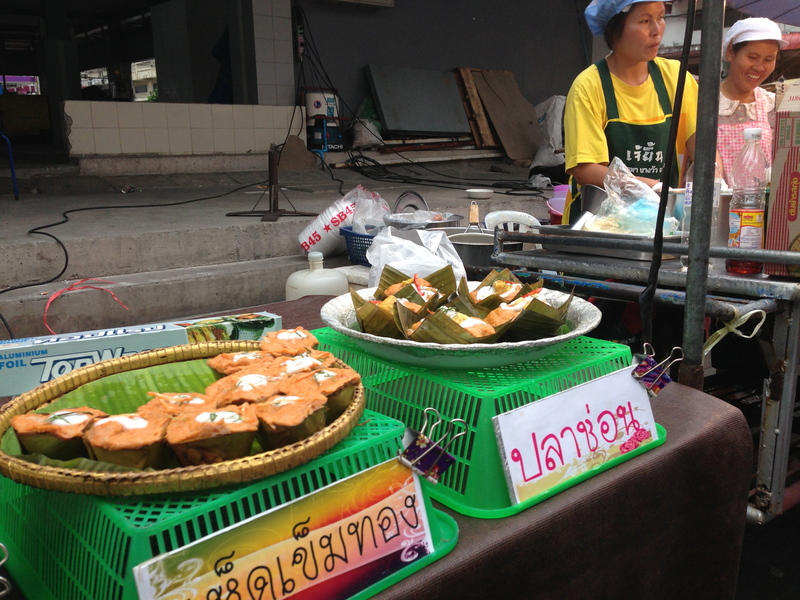 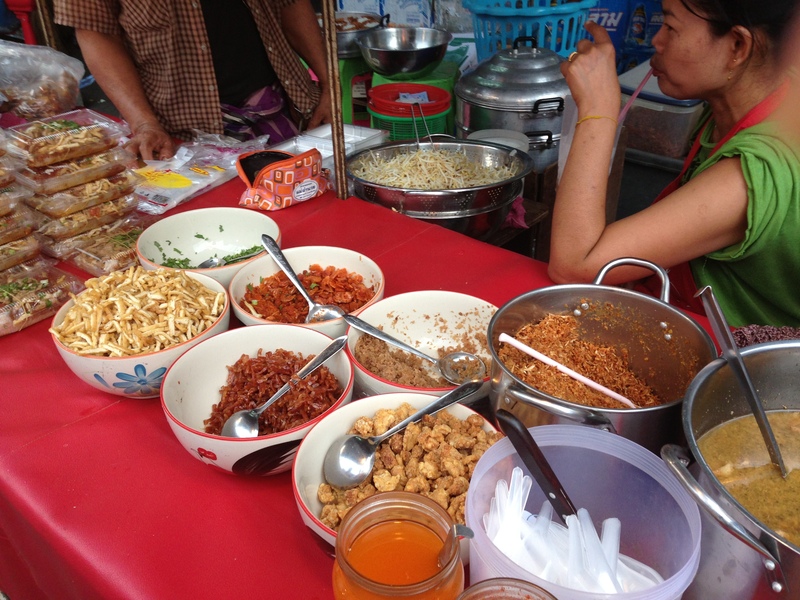 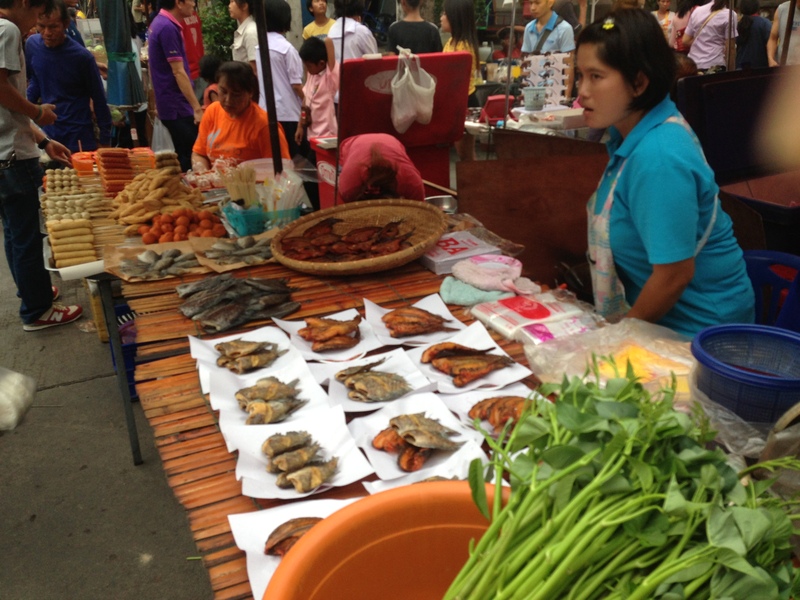 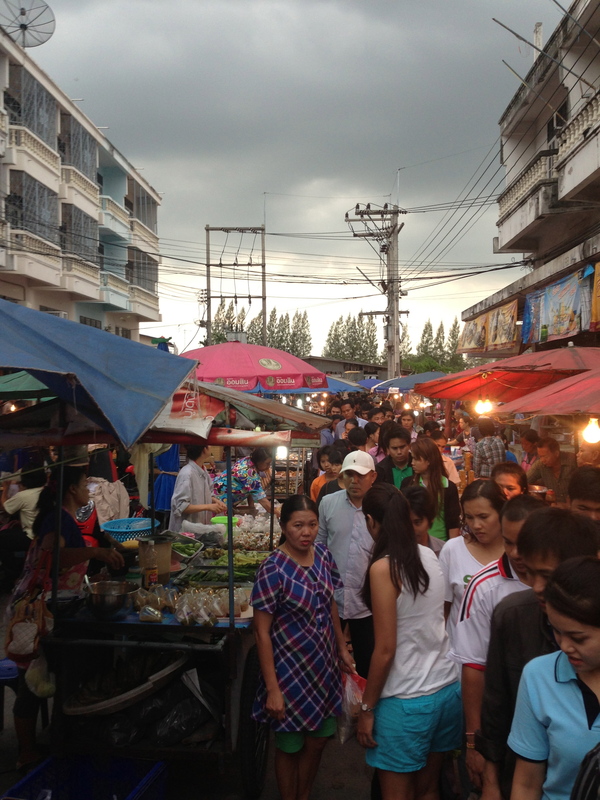 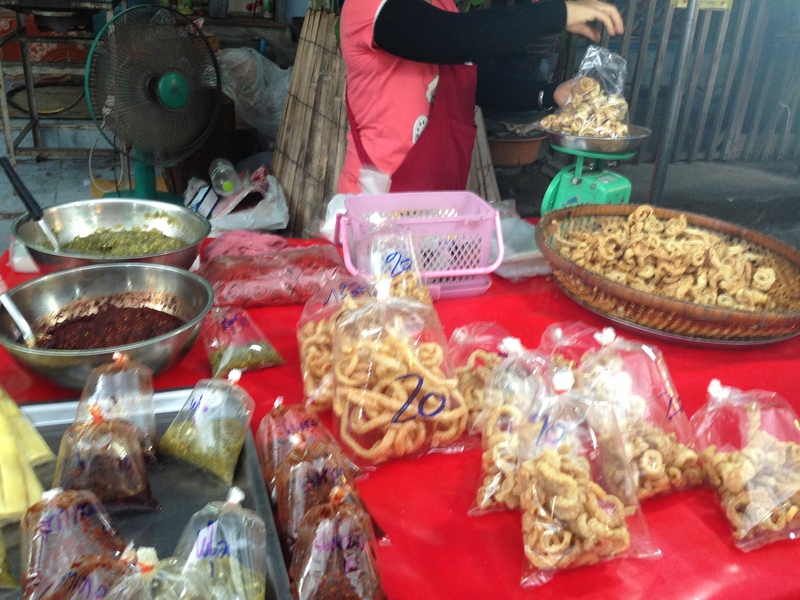 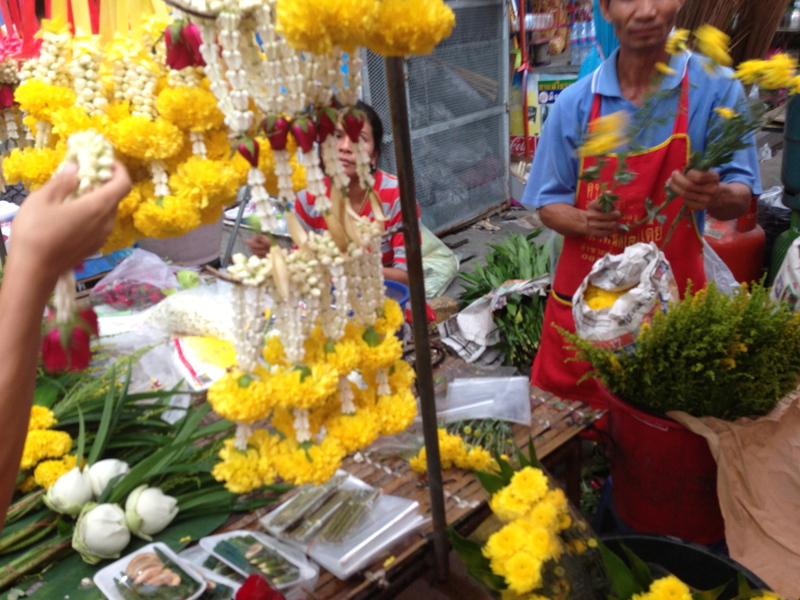 On this market too, we can see lots of stalls selling local Thai food. 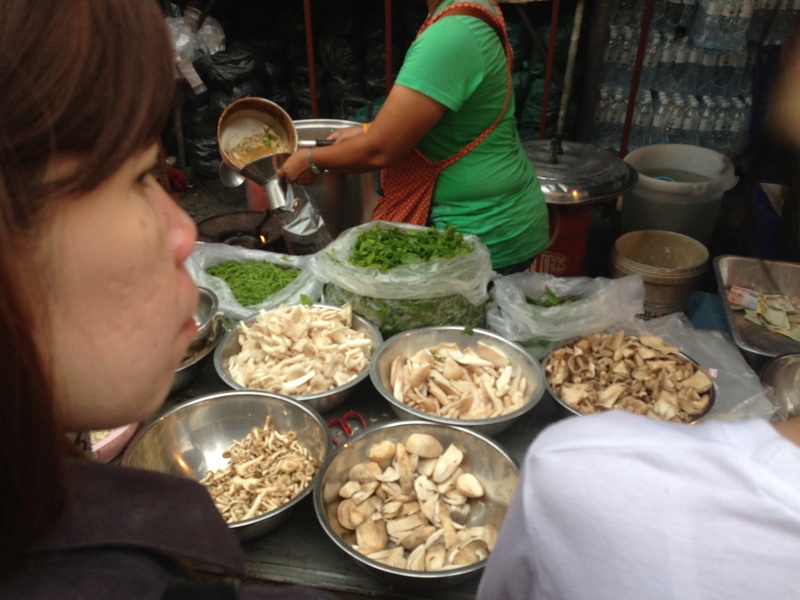 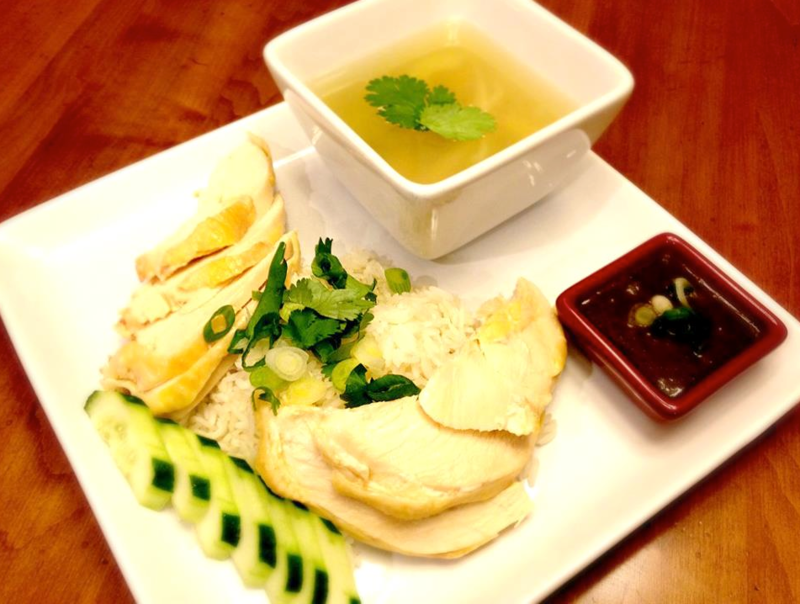 Its pretty convenient to buy food there for people who don’t want to cook at home. 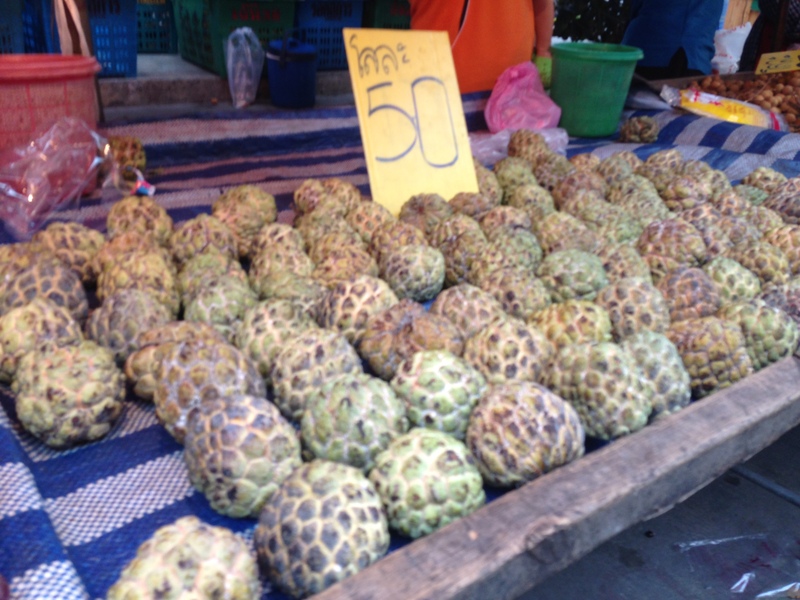 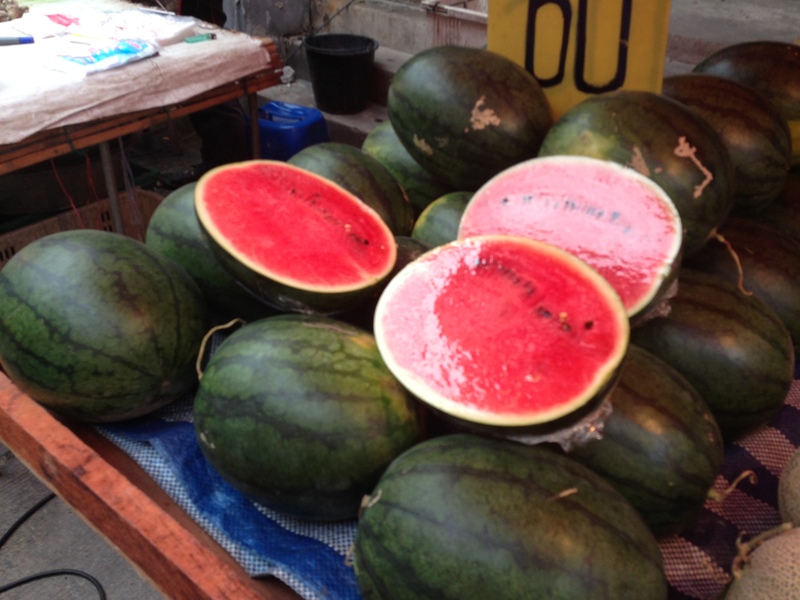 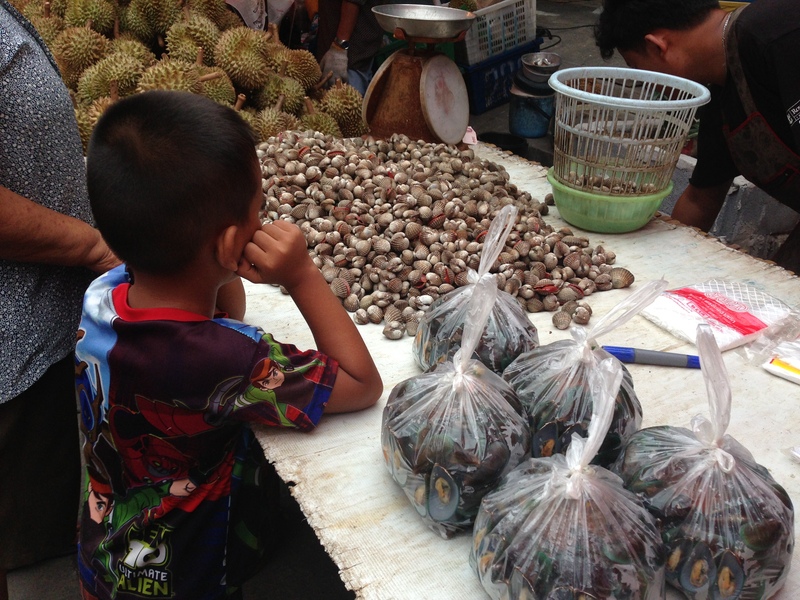 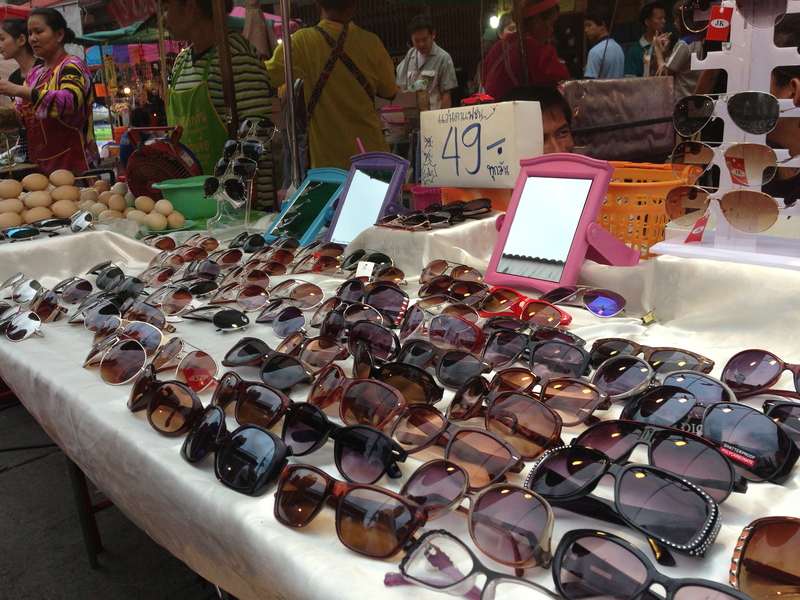 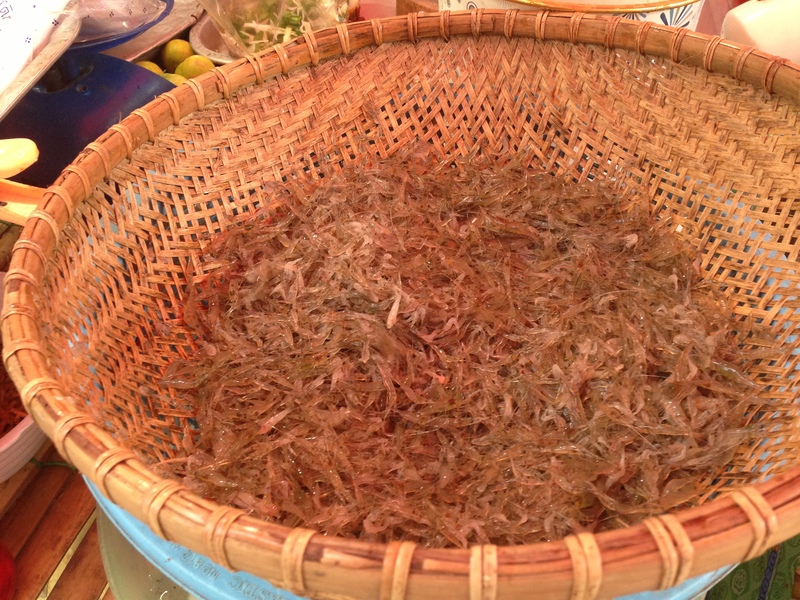 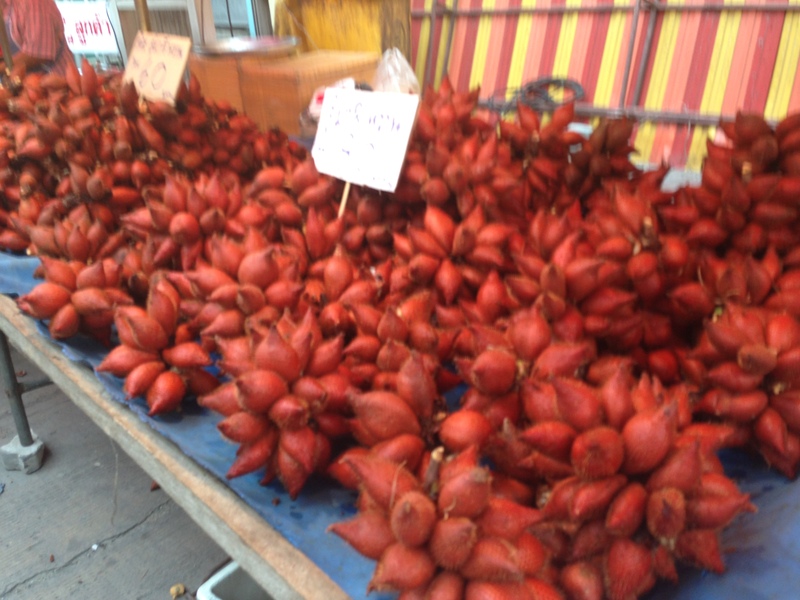 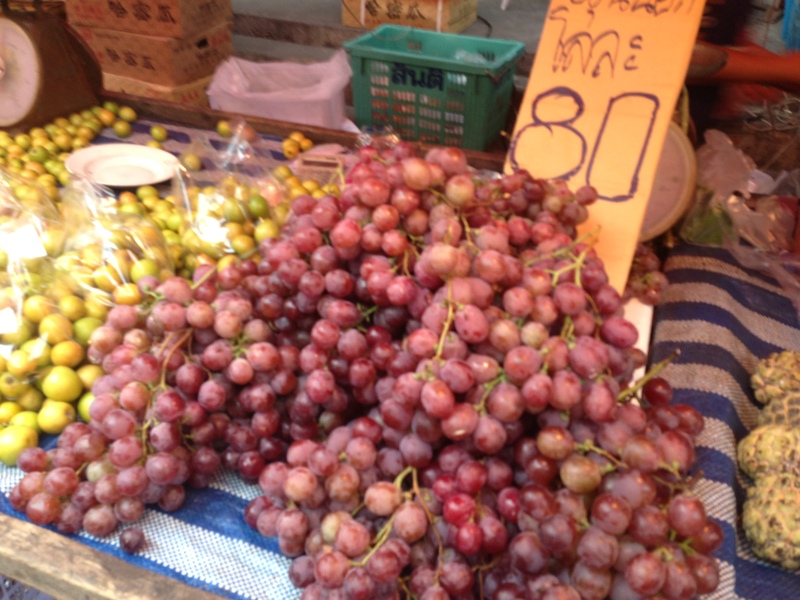 So, in this post I’m sharing with you the pictures from the market taken with my phone. 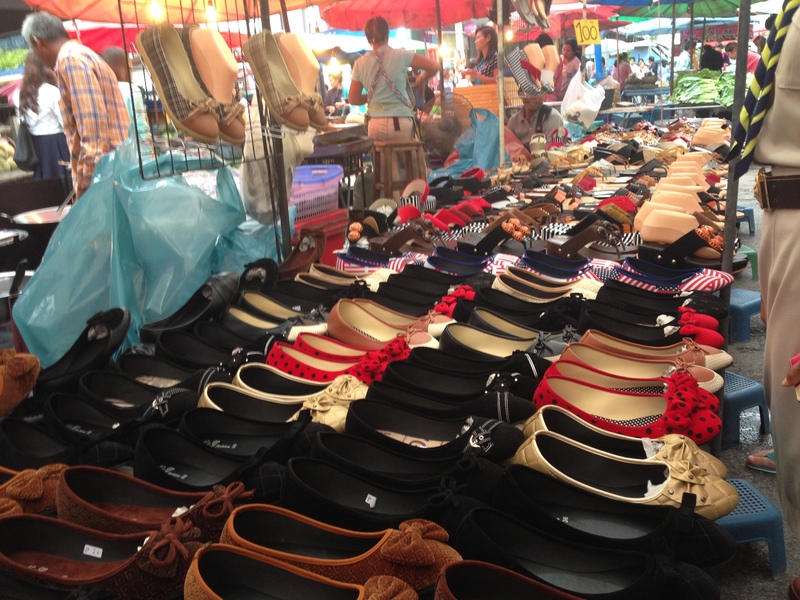 The market is quite vibrant and definitely worth a share :). 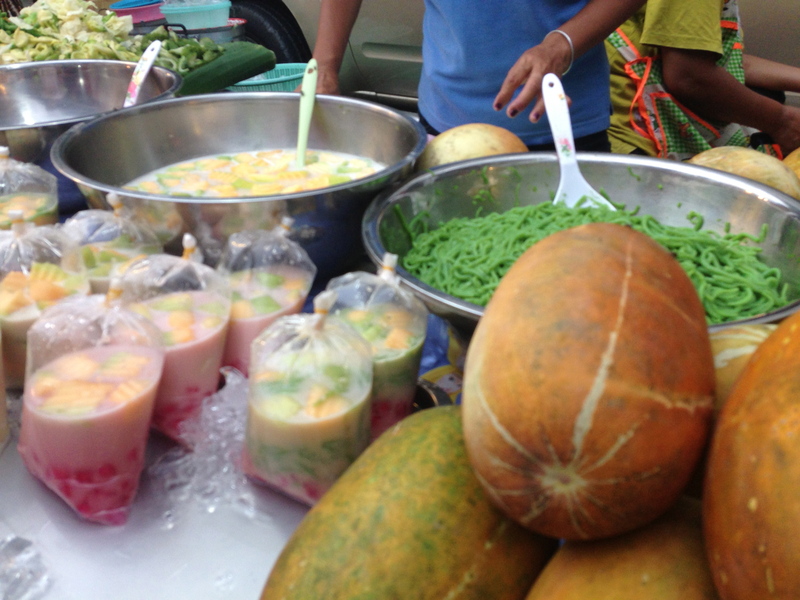 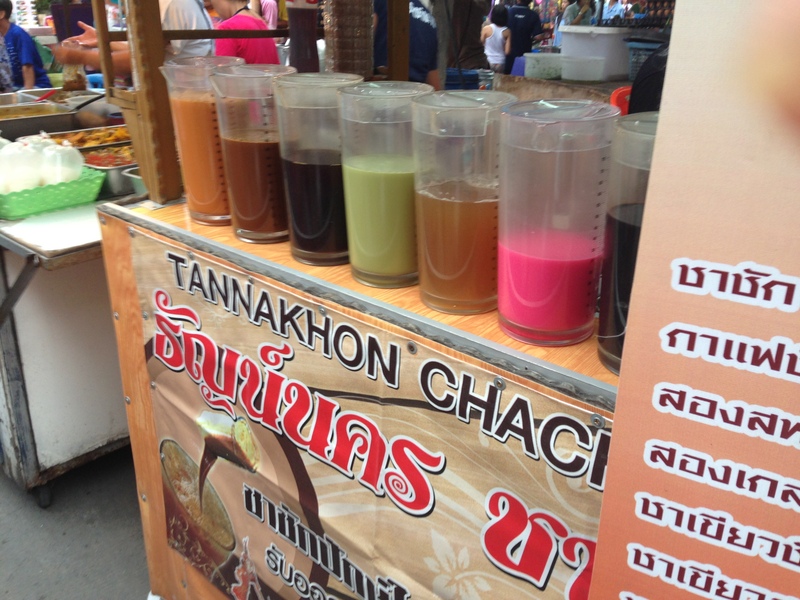 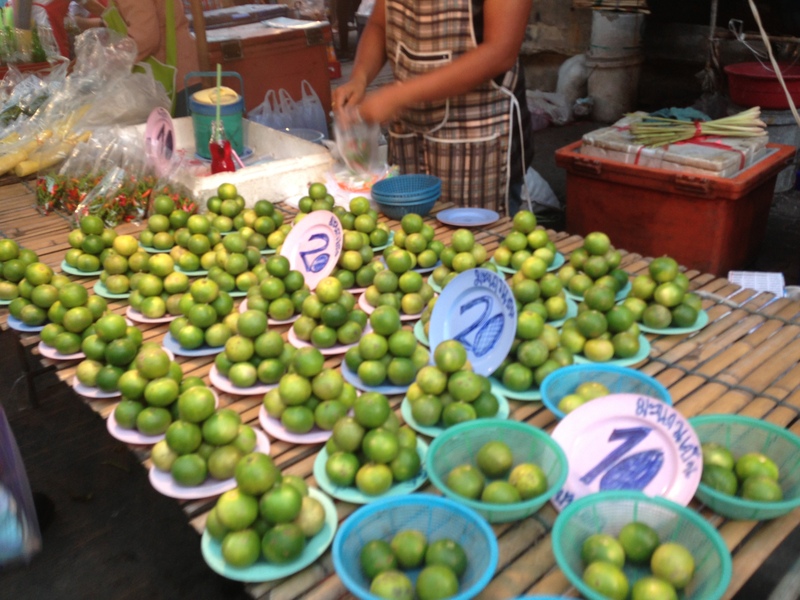 A drink stall, very famous in Thailand…you can find similar stalls in each and every corner. 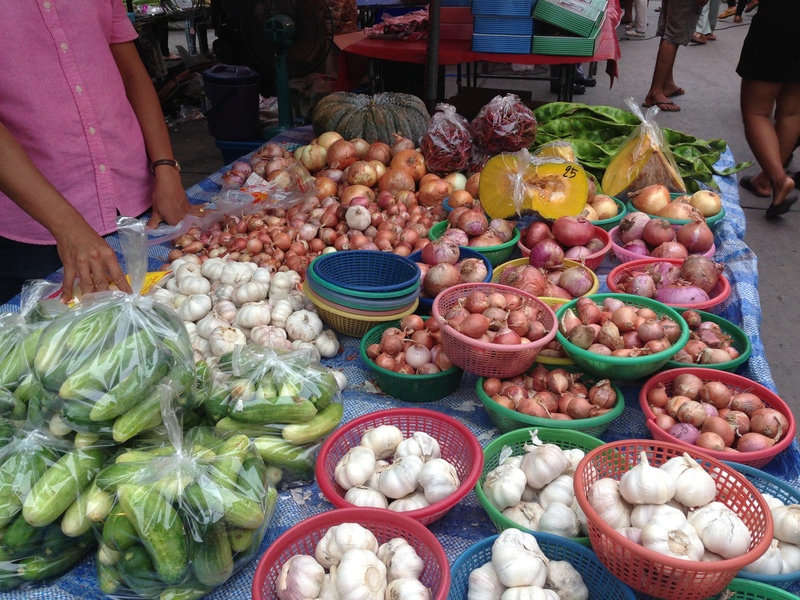 Our favorite stall, all kinds of seasonal greens are found here. 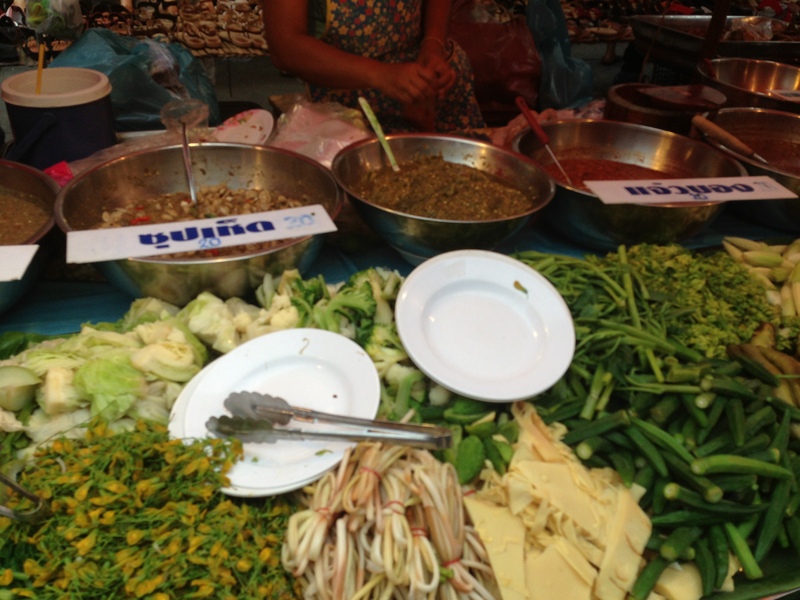 Boiled veggies with different kinds of spicy sauces. 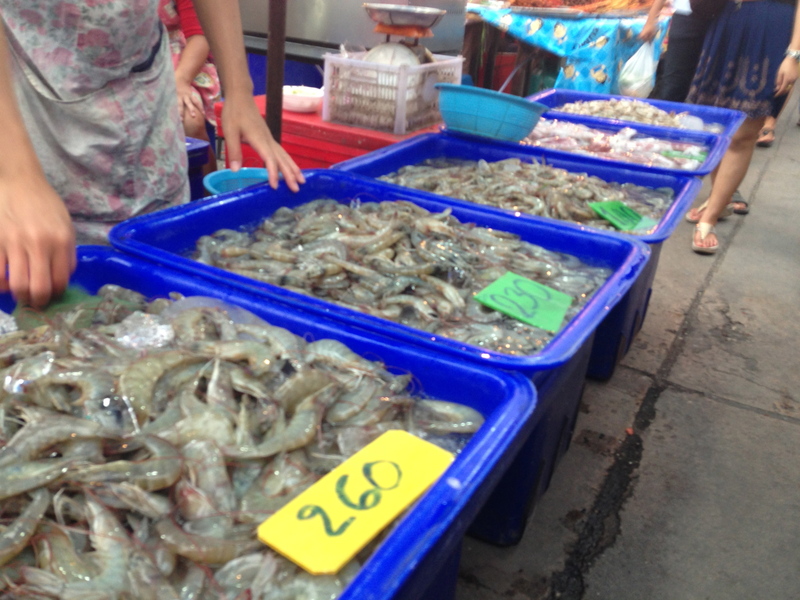 These tiny shrimps were still alive! 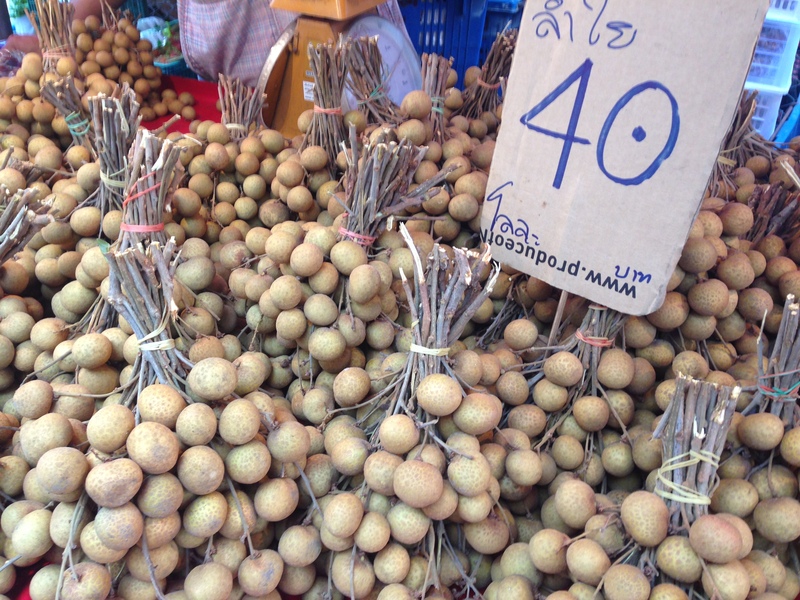 A must have Thai ingredient. 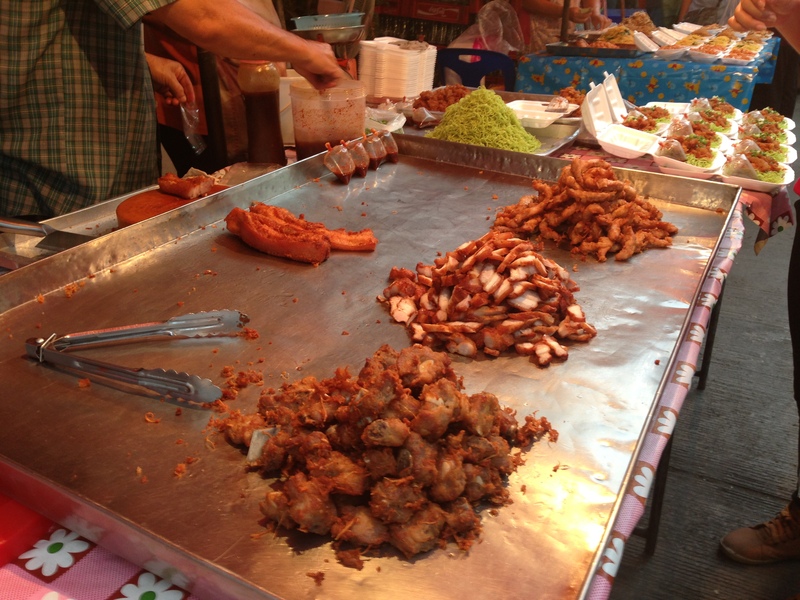 fried pork skin, sorry for the blurred pic! 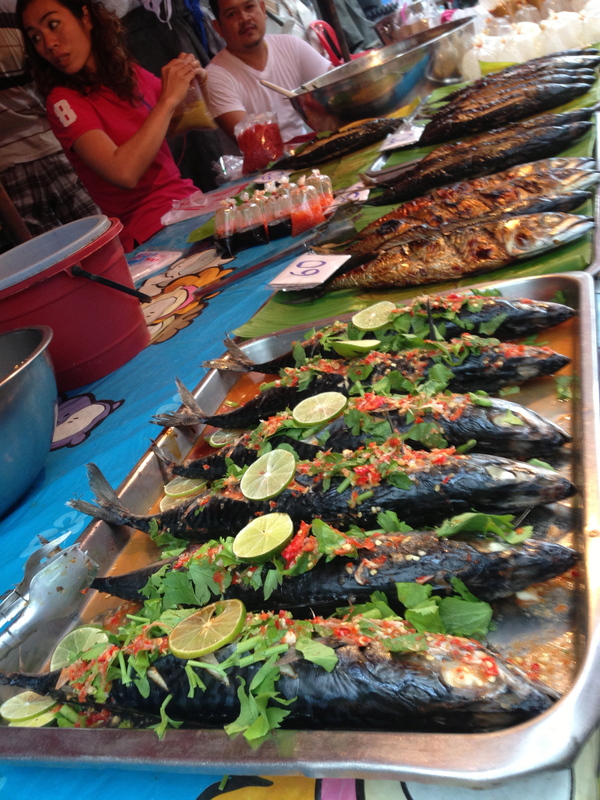 I hope you all enjoyed going through the pictures :).